In SEO, Sitemaps always play a critical role. According to Wikipedia, you can understand a site map (or sitemap) is a list of pages of a web site accessible to crawlers / robots or users. There are 2 kinds of sitemap: XML and HTML sitemap. 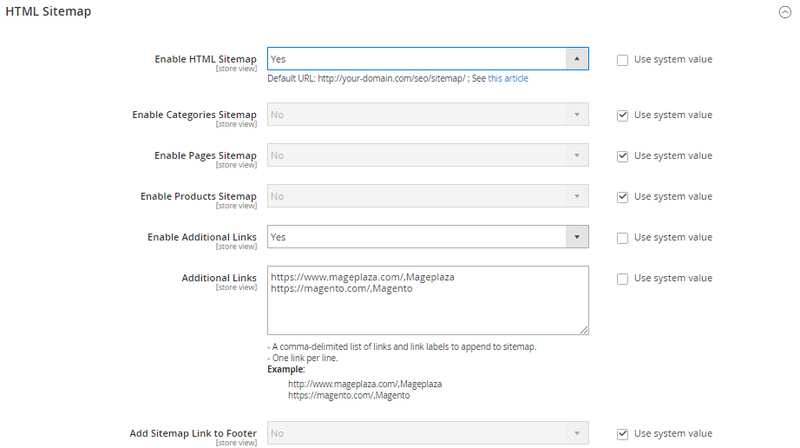 Mageplaza SEO supports both XML, HTML Sitemap. How important of the page in the relation with the others on the site. By listing the specific additional information about each URL, the XML sitemap helps the search engines can understand the site’s structure easier and allows the search engines can find all of the site pages while some of those might be miss when indexing. The better of the crawlers can understand your site, the higher ranking your site can take. As a result, XML sitemap can boost the SEO performance significantly. Instead of the search engines, HTML sitemap focuses more on the users. 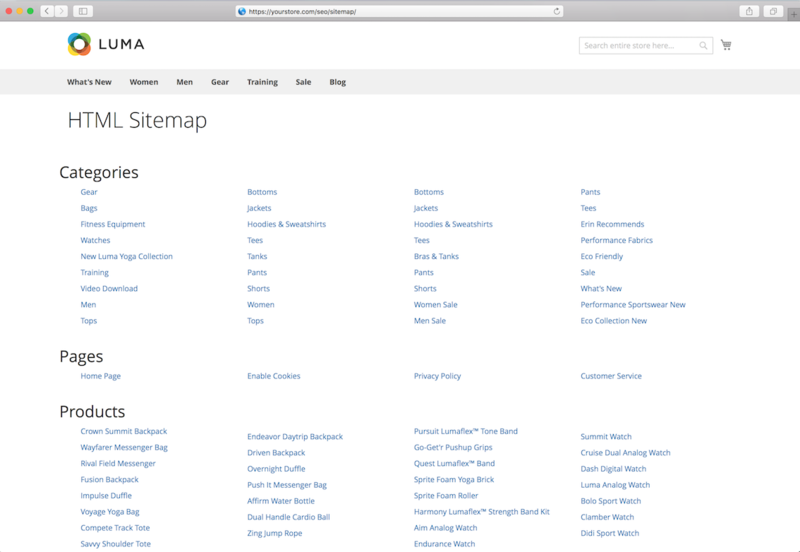 This sitemap outlines every single page of the websites. If you go to a website and can’t see the Categories page or the ‘About Us’ page, you can go to the HTML sitemap page and find those pages in the shortest time. The HTML sitemap is a smart solution to speed up the shopping process and brings the pleasure experience to the shoppers by allowing them to navigate a page or a website easily and quickly without missing any site page. Actually, HTML sitemap doesn’t help much on increasing the site ranking like XML sitemap but the benefit of this sitemap is huge. The customer experience always is one of the most important factors for any business when it decides whether the shoppers can make a purchase, come back to your site or prefer your site among the competitors. Basically, the XML sitemap is specifically written for the search engines spiders while the HTML one is primarily for the users. Each sitemap has the different advantage so it’s your choice based on the using purpose. Besides, It’s also a good idea to use both sitemaps to not only make the site climb on the ranking but also help the visitors to navigate the websites in the most convenient way. However, if you’re running a big business, you need to consider on using HTML sitemap because the huge number of site pages can completely confuse the shoppers. After finishing the config, click Save Config , Flush Cache and see the result.